This single light guide is mounted on the PCB via press-in lugs. The system can be strip-mounted in grid dimensions to FEL specifications. The light guides are used in connection with SMD LEDs. 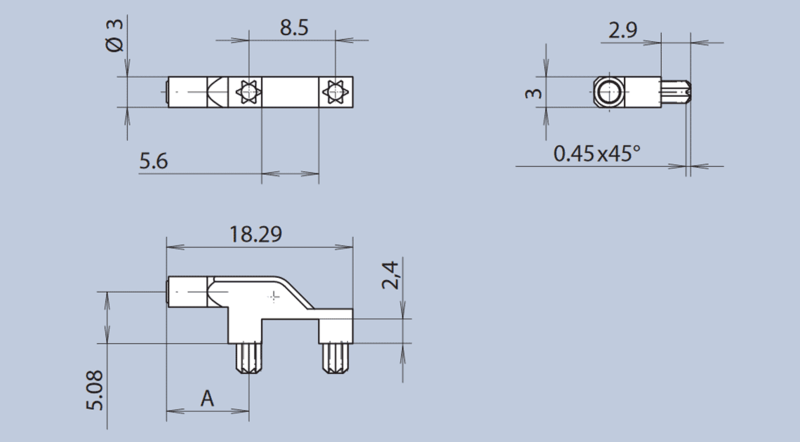 Whilst standard length A is 8.1mm, infinite variations up to 45mm are possible with minimal or no tooling costs.